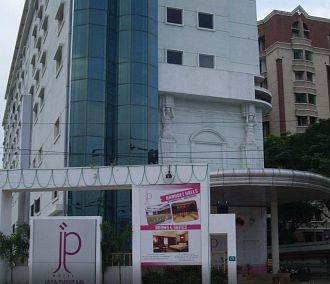 Hotel JP at the Inner Ring Road is designed sleekly with a grand reception area, featuring crystal chandelier and maintaining 91 guestrooms with contemporary decor. Guests are offered breakfast services through the 24 hours room service. There is also a spacious and chicly designed restaurant, serving scrumptious fare to its diners. A conference hall, a banquet hall and a mini-conference hall are available for private and official gatherings.